Purchasing a home is a huge investment. By arranging for a residential home inspection, you can prevent a lot of financial hardships in the future. Home Town Inspections LLC provides home inspection services throughout Knoxville, Tennessee and the surrounding areas. If we discover any points of concern during our inspection, we'll alert you so you'll know what you'll potentially be getting into. 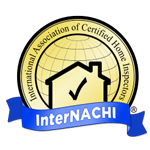 Put your residential home inspection on the calendar by calling Home Town Inspections today. Your home inspection services are just one phone call away. Schedule an appointment with us today by calling 865-323-7050. We also perform new construction inspections.